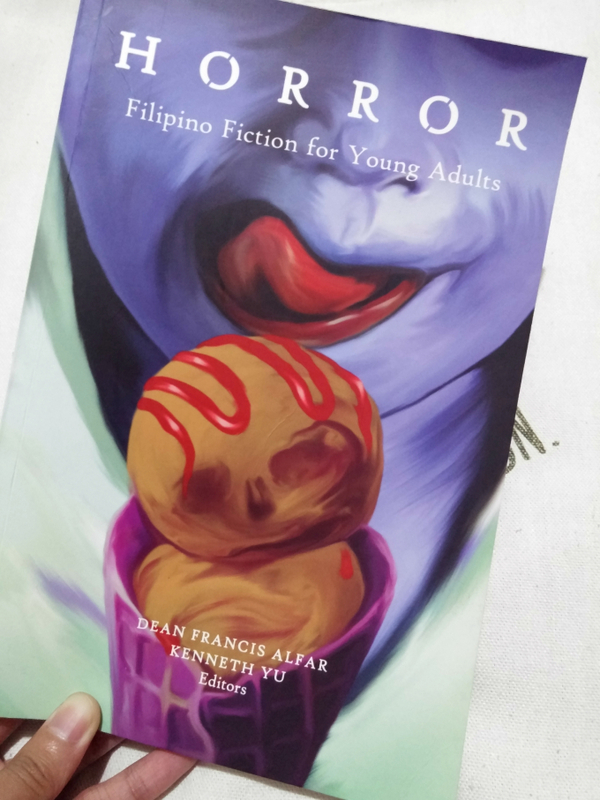 The stories that my titos and titas used to scare me as a kid always involved some kind of creature: the tiyanak, the kapre, the white lady and, my personal nightmare, the manananggal. But over the years their threat gradually dwindled. Transitioning from child to teenager, my fears no longer took the forms of sharp fangs and bloody eyes, instead transforming into filial disappointment, peer ostracism, the very real possibility of failing at life and the heartbreak of losing someone you love. This is one of the more fantastical than horrific stories in the collection. Lucia is a literal nightmare hunter in a world where dreams take on a physical form of sorts. Her solutions are pragmatic—bug sprays for insects; Zorox for eels; a mouse for a two-headed elephant. She’s partnered with Benjie, a new blundering (in Lucia’s eyes, anyway) hunter, and an encounter with a special kind of nightmare raises questions about just how special Benjie is. It’s an incredibly well-built universe that has a lot of elements left unexplained due to the length of the story. Lucia deserves its own full novel and I’d be first in line to purchase it. “Gago’s Got Your Back” is a fresh take on bullying. It’s told from the perspective of the everyman, Kwan, and talks about how the bully Gago can slowly seep into one’s skin, control one’s decisions and overtake one’s senses if one isn’t careful enough. It’s terrifying in the way that you never know how your child or younger sibling is truly faring at school, if they’re being treated right, if they’re hiding their terrors behind smiles and I’m fine’s, or if they’re quietly nursing little Gago’s in their hearts themselves. This is probably the creepiest story in the bunch, in the traditional sense of creepy. Old lady, old house, invisible old children, a stormy night—you know the drill. But Tan manages to keep the eeriness steady, adding subtle family problems here and there. If you’re easily scared, like me, I would suggest reading this in the morning, when the sun is high and the shadows friendly. Closing the anthology is “Misty,” where the line between reality and imagination is blurred. Two stories are told simultaneously, one of Ramona and the other of Susan. In the outset, it seems like Ramona is just telling a story to her little sister. A strange one, about Susan and how she’s being pursued by a man without a nose (not Voldemort, okay), but a made-up tale nevertheless. Then… it takes a turn for the weird. To be honest, I’m still not sure what happened exactly but I finished the last paragraph feeling completely unsettled in my own skin. Maybe it was the vague ending or how the two stories were interspersed between one another, confusing the reader all the more. Either way, I was spooked. The remaining stories are just as worthy to read: “Honesty Hour” by Gabriela Lee; “Eat Me” by Kally Hiromi R. Arsua; “Mommy Agnes” by Vince Torres; “The Running Girl” by Elyss G. Punsalan; “Education by Ate Flora” by Renelaine Bontol-Pfister; “The New Teacher” by Alexander Osias; “Dan’s Dreams” by Eliza Victoria (another weird and creepy like “Misty,” another fave); “Itching to Get Home” by Joseph Anthony Montecillo (more affecting than horrifying, also a fave); “A Yellow Brick Road Valentine” by Charles Tan; “Frozen Delight” by EK Gonzales.